We can organize 2 days of enduro only for you and your friends! 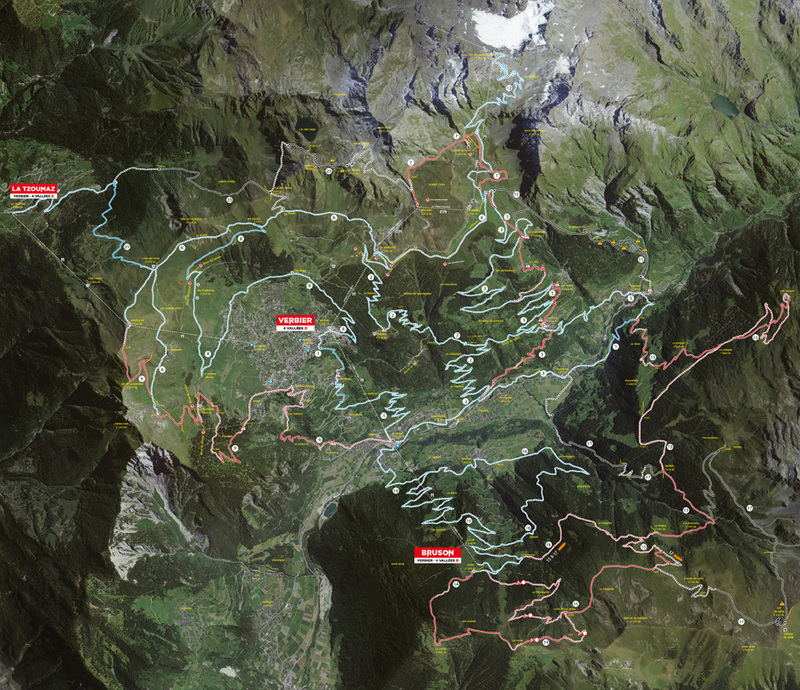 Share with your friends 2 enduro days with a guide on the best trails of the area. 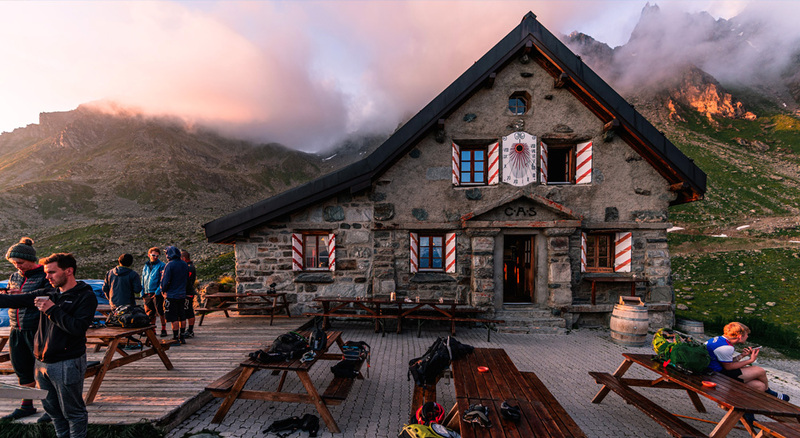 We propose you to stay overnight at the Mt-Fort mountain hut at 2'500 m. high and eat a Swiss cheese local meal. Contact us for more info and to organize your camp as you want! Minimum level : advanced and expert only. The local trails are quite steep and technical. Be careful not to overestimate your skills for these camps ! 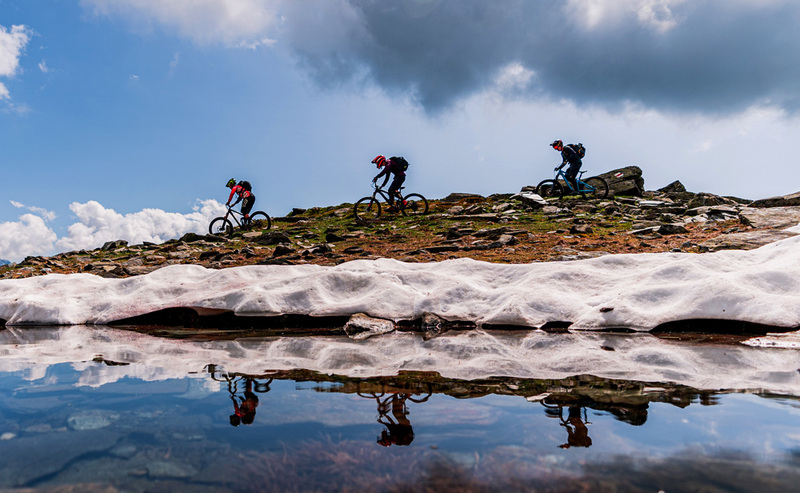 • Advanced: you often ride enduro and can ride down almost any trails. You are able to ride and/or carry your bike uphill during more than 45 minutes. 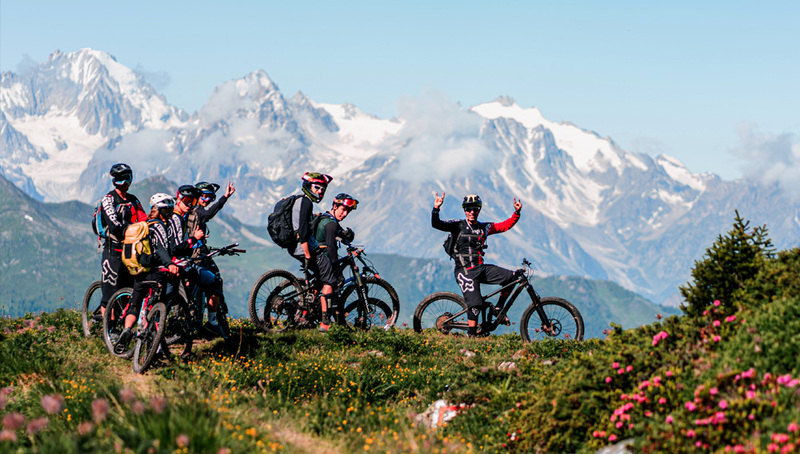 Guides: Guides from the Verbier bikepark school (Swiss Cylcing Guide). By car: large parking area (free) at the bottom of the gondolas, in front of the hostel. By train: Le Châble train station at 1 minute walk from the hostel and the gondolas. No car needed during the 3 days. In restaurants or in huts, except for the first day (picnic). Lunches are not included. You can bring a picnic with you instead of eating in restaurants/huts if you prefer. In the Mountain Hut the Saturday night. 8am-9am Welcoming at the gondola station in Le Châble . Liability and accident cover mandatory for all the participants. Affiliation to a helicopter rescue society recommended. Promobike Verbier/St Bernard declines any responsibility in case of accident. • Compulsory protection: knee pads, long gloves, helmet, backpack with hydration pack. Back protection recommended. • the camp will take place even in case of unfavorable weather conditions. However, the camp will be cancelled if the weather forecasts are bad for the 2 days. A decision will be made 48hrs before the camp starts. The fees would be fully refunded. • If the camps takes place and the participant decides to cancel his/her booking, 75% of the fees will be refunded. • If the participant can’t take part in the camp because of an injury, 90% of the fees will be refunded upon presentation of a medical certificate. Send the completed form "Formulaire_EnduroCamp_2018.pdf" to info@verbierbikepark.ch with subject "EnduroCamp". Your booking will be validated once your payment has been received. You will receive a confirmation via e-mail.